DescriptionBeautiful cupcake cases, featuring one of the best-loved characters from children’s literature. Including a mix of two designs, decorated with polka dots and the instantly recognisable Little Nut Brown Hare from the classic book ‘Guess How Much I Love You’. Each pack contains 100 Cup Cake Cases. 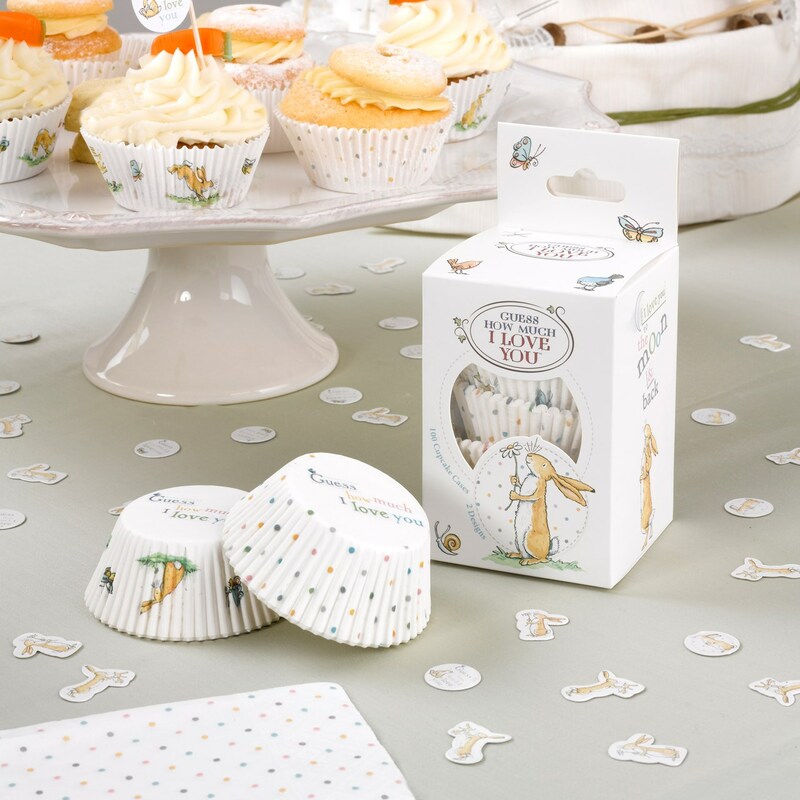 Beautiful cupcake cases, featuring one of the best-loved characters from children’s literature. Including a mix of two designs, decorated with polka dots and the instantly recognisable Little Nut Brown Hare from the classic book ‘Guess How Much I Love You’. Each pack contains 100 Cup Cake Cases.